I'm kicking off with Theo Fennell because this is, personally speaking, one of my favourite gift giving haunts for the seriously hard to buy for. This is the shop that has things for the man that has everything. You know what I'm talking about. He's the guy that already has the watch, the wardrobe, all the big boy toys and really has no "need" for anything. That's where Theo Fennell comes in as he will find the man that has everything and prove that there are still "things" that are required. 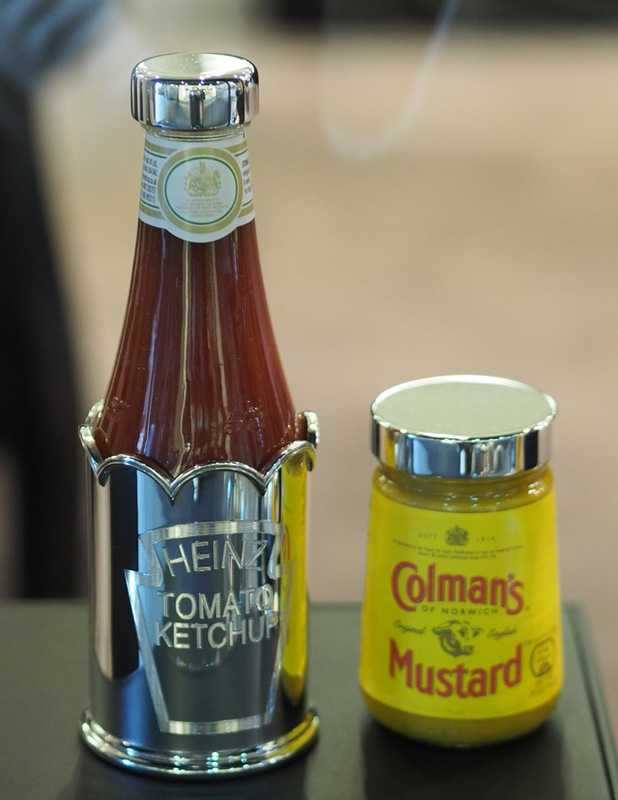 For example, how many men do you know that have a posh silver caddy for their Heinz Ketchup sauce? These sort of gifts are also made to order. So if your man is an HP lover, said accoutrement can also be made. Also to be discovered here are a range of cufflinks that are quirky to say the least. 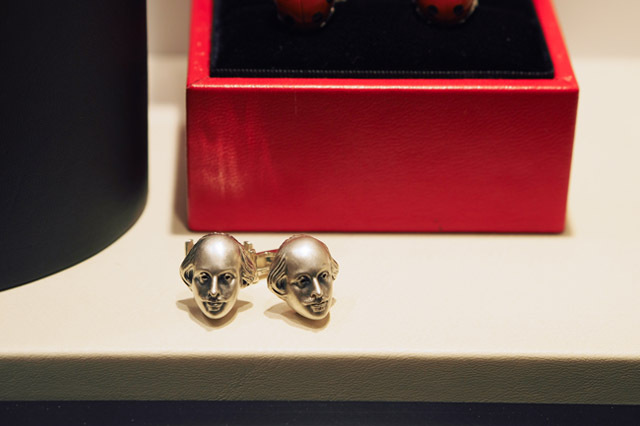 Who wouldn't love to be inspired by busts of William Shakespeare on a daily basis? Yup, they have the cufflinks. Bremont is a beautiful British brand that just about every man I know, or would want to know, has to come to love over the past decade. Although still a relatively new company in the watch arena, they have truly taken the world by storm. Their watches are a thing of true beauty, and made right here in the UK. 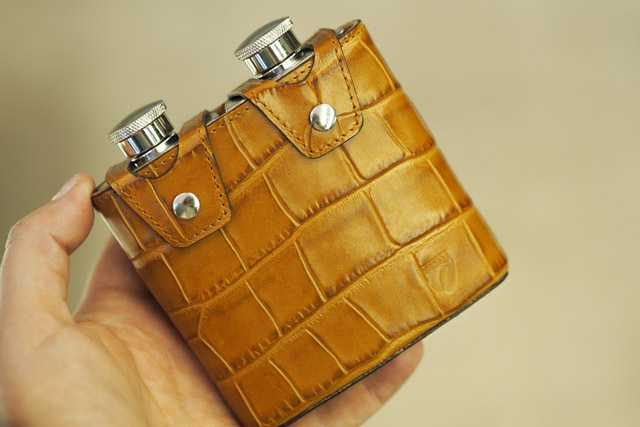 And here's the best part- they are truly for a discerning gentleman. This isn't your city Rolex. This watch is truly rare, unique, and a watch with a mission to bring back the trade to the shores of the UK. Each year they only produce around 8,000-10,000 watches, a fraction of what most companies bring to the market. 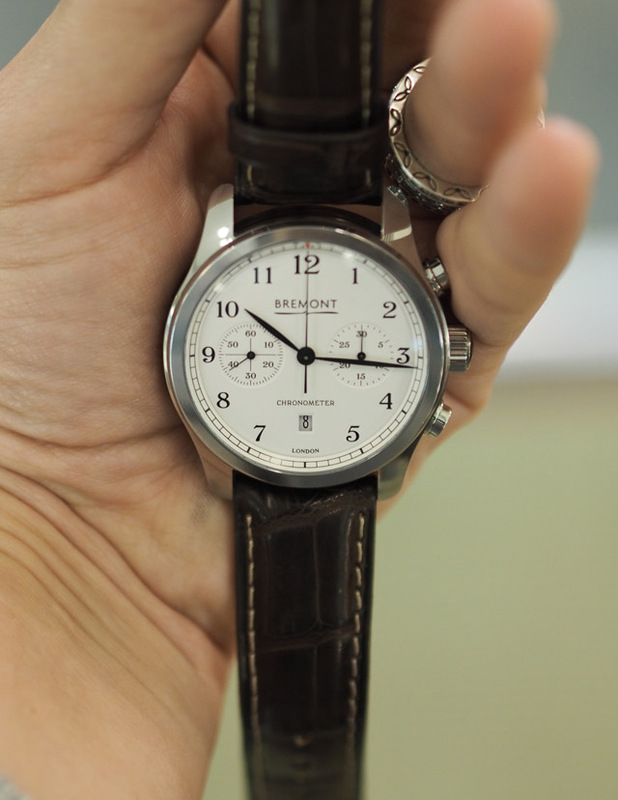 So it's a rare man indeed that you see wearing the beauty that is Bremont. 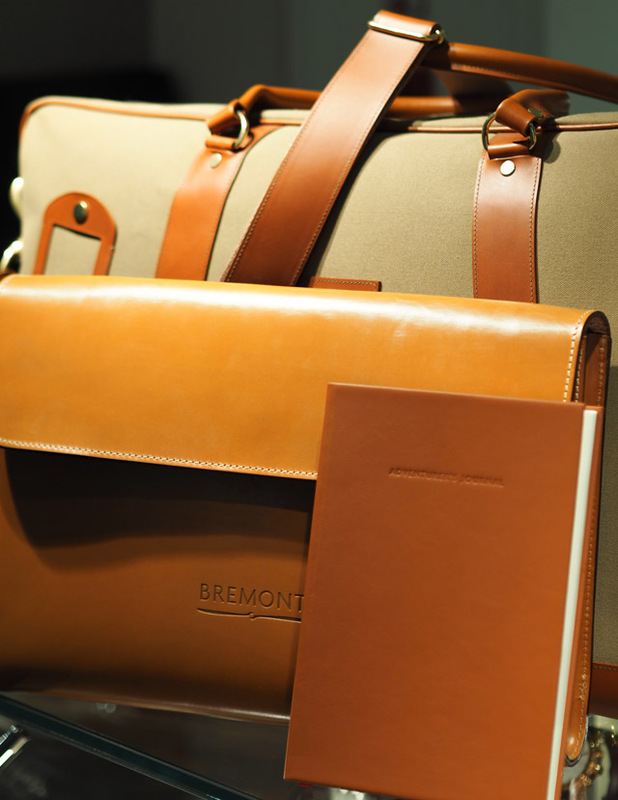 If, however, you aren't in the mood for springing for a watch for the man in your life, Bremont also offers plenty of other options ranging from leather journals to beautiful pieces of luggage. This was actually the one shop where I had to stop and purchase for myself and Mr. FFG. The leather goods are too good to be ignored and also offered at insanely reasonable price points for what they provide in luxury accessorizing. Here's the deal with Leica. I actually don't need to say much here. 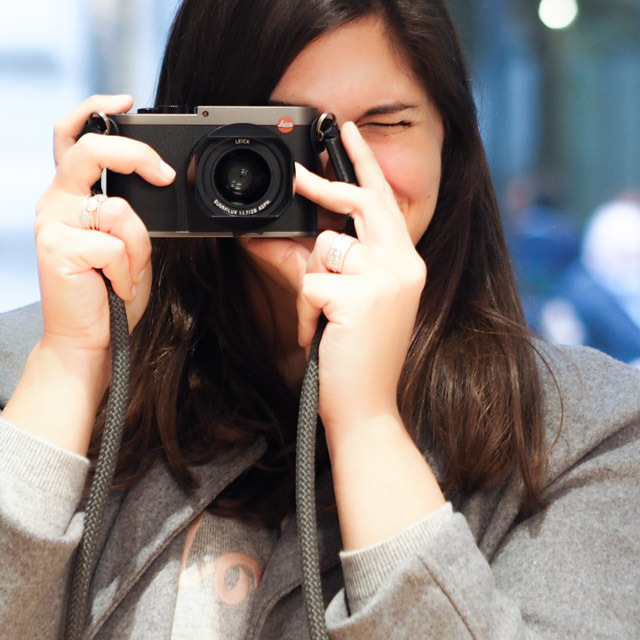 This is the camera shop for the camera enthusiast in your life. However, instead of telling you what to buy here, I'm going to tell you to go in and talk to the guys at Leica to find the right present for the person you are looking for. The shop is run by camera experts who are all to happy to talk you through the right purchase for the photographer in your life. It shouldn't be hard to buy for this person, but oh the possibilities of getting it wrong. Leica pretty much wipe out that possibility. This year they are offering everything from an instant camera (with the lowest price point ever for a Leica camera) to the quintessential Q model. They also offer camera accessories for the chap in your life that already has all the equipment. And if I could be so bold as to say that this might just be the perfect place for you to shop for yourself. Or maybe I'll be a little bolder and say that I hope someone is shopping there for me. I could have spent all day in Leica, talking shop and exploring the endless possibilities with the world's finest cameras. I feel like Halcyon Days is a shop that most people see as women only. Au contraire! Halcyon days is actually a gold mine of gifts for the man in your life. What I'm zeroing in on here, specifically, is the ashtray offering. While Halcyon Days may be known for beautiful enamel bracelets for women, they also offer beautiful enamel trays for men. And I can't stress the word "beautiful" here enough. 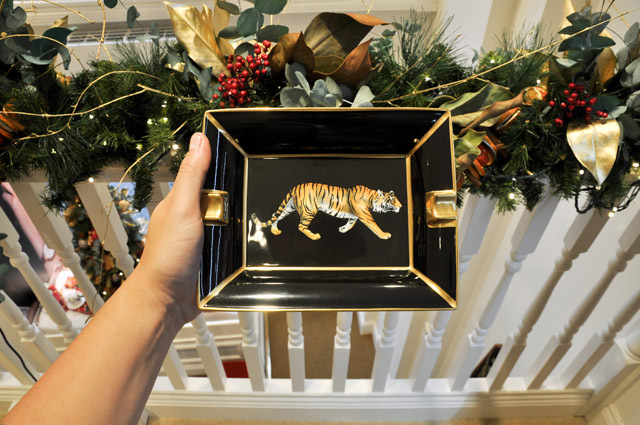 These trays are perfect for desk and side table decoration. While you're in there, also have a look at the annual Christmas decorations. 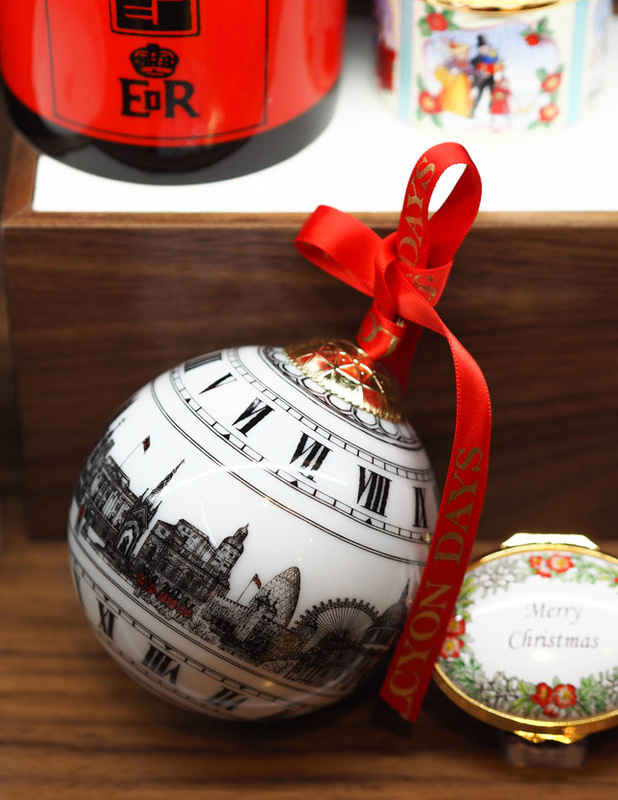 I have always thought that gifting an ornament a year is a wonderful way to start a Christmas tree together with the one you love. Sorry, being totally sentimental there. But it's always a good gift giving idea if you're really struggling! 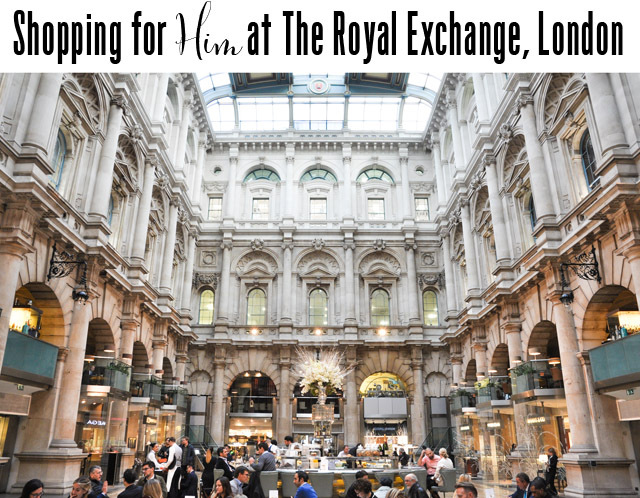 I think you'll find Aspinal of London may just be the easiest place for you to shop for the man in your life this Christmas. 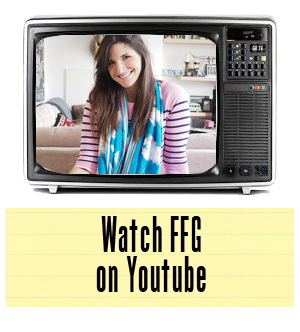 I can almost promise you that you'll walk in and out, gift in hand, in under 15 minutes, if you're in a time bind. Your only time stopper might be in choosing a colour of the leather goods you want to gift. 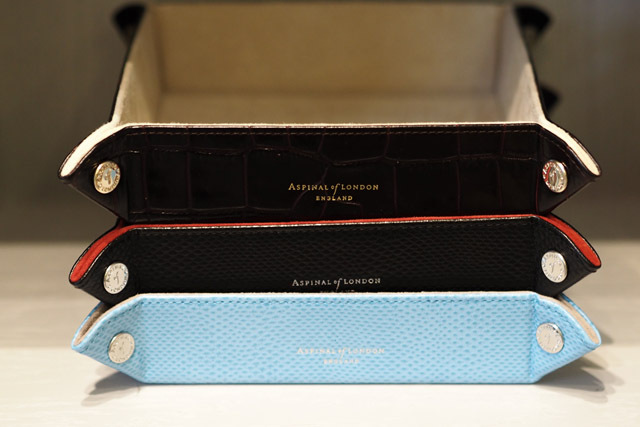 Aspinal of London offer everything from Passport holders to collapsable leather trays and everything in between. You are seriously spoilt for choice here and the price point is incredibly reasonable for the gifts they are providing. 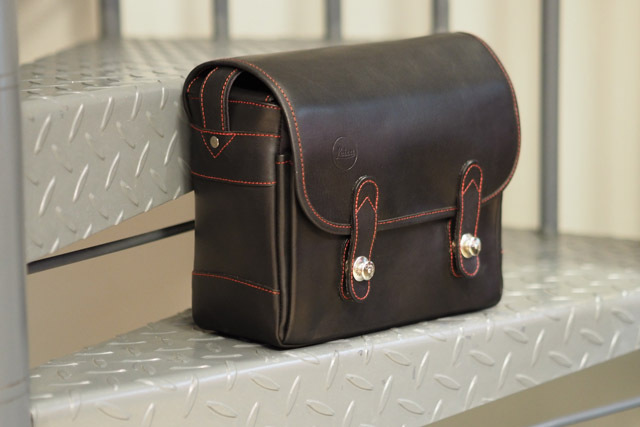 If you're looking to do a bit more spoiling, they also have a beautiful range of briefcases that any man would be proud to carry into the office daily. Last but not least, a quick mention of Paul A Young, the chocolatier. 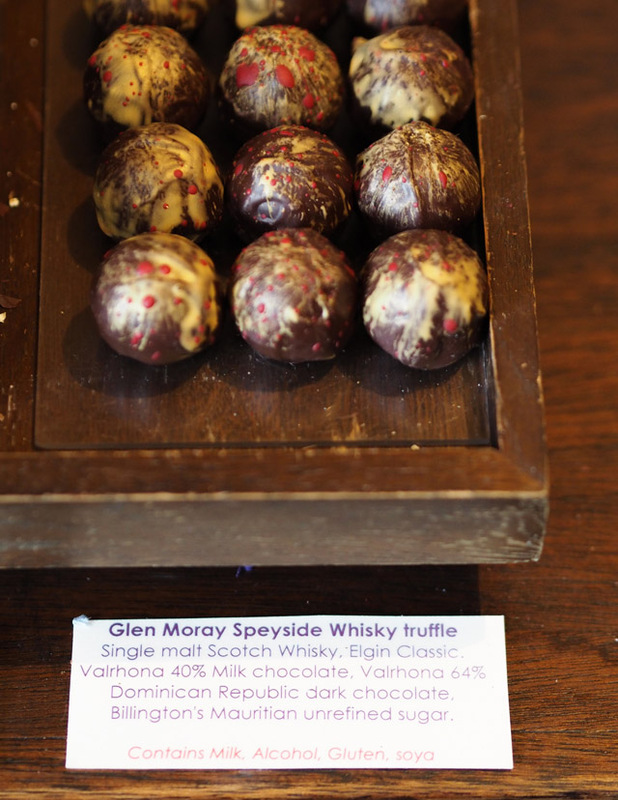 This season they are featuring a Whisky Truffle! Need I say more? If your man is a chocolate lover, and enjoys a fine single malt Scotch whisky, I think you are sorted!